That is, if he can find the workers. A third-generation, family-owned berry farm, Sakuma Brothers is only one of many farms outside of Seattle and across the country that is experiencing a labor shortage, primarily because fewer Mexicans are now crossing the border illegally to fill the jobs, and farmers say not enough U.S. workers are available to make up the difference. Drive 70 miles south of the Sakuma Brothers farm into the heart of Seattle and there’s a different industry facing its own version of a labor crisis. 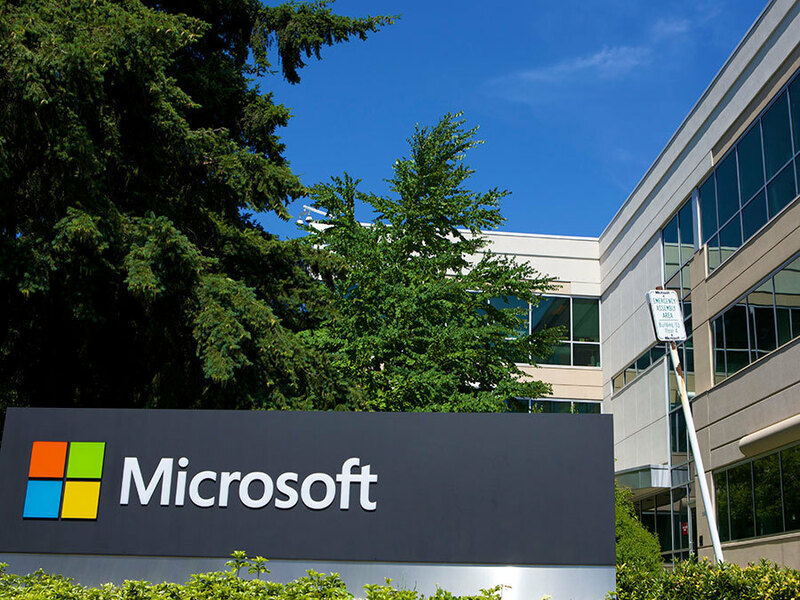 Major technology companies such as Amazon, Google and Microsoft with headquarters or major divisions in Seattle and its Redmond suburb have long lists of jobs that need to be filled posted on their websites. And because of rapid growth, they say they increasingly are having to look for qualified workers outside the country. These two industries’ labor challenges point to one of the hottest issues in the presidential and congressional elections this year: immigration. For some people, immigration is all about jobs – filling them with foreign workers or losing them to foreign workers. For others, attacks such as the one in San Bernardino have made it a topic about terrorism and keeping the country safe by clamping down on immigrants. This year there have been a lot of speeches by a lot of politicians about immigration reform, but there hasn’t been much progress on legislation in Washington, D.C., for a long time, and nobody is expecting anything to happen soon. Where are the U.S. workers? It’s a common belief, if not a fear, that Mexican immigrants are flooding across the border and taking jobs away from Americans. Donald Trump has seized upon that belief and called for building a wall along the U.S.-Mexico border. His proposal gets cheers at rallies, despite statistics showing the number of illegal immigrants crossing the southern border is at an all time low. A Pew Research Center r eport in November 2015 found that illegal immigrants from Mexico living in the U.S. has dropped by a million since 2007, and data from the U.S. Census Bureau shows that the number of new immigrants crossing the border is down by two thirds, at 240,000 annually. The number peaked in 2000 at 875,000. The number has dropped because of stricter border enforcement that began under the George W. Bush administration, plus Mexico’s economy is stronger and generating more jobs and there has been a decrease in births, said Jeanne Batalova, senior policy analyst at Migrant Policy Institute, an independent think tank. Farmers across the country were some of the first to witness the reality of fewer illegal Mexicans. Between 2002 and 2012, the number of new field and crop workers crossing into the U.S. to work on farms fell by 75 percent, according to a 2015 report by the Partnership for a New American Economy titled “A Vanishing Breed.” That’s a huge problem when you consider that about 70 percent of the U.S. farm workforce is made up of Latino workers who are either undocumented or provide false documents to work, according to data provided by the National Council of Farmer Cooperatives . In the short term, the tight labor often means lost profit from crops left to rot in the fields because they aren’t picked in time. 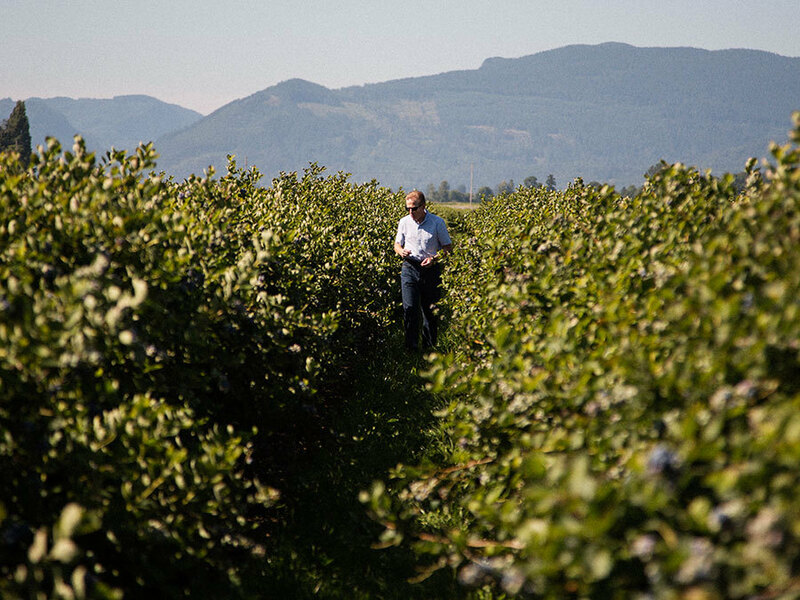 Sakuma Brothers left almost a million pounds of berries in the fields at its lowest point in 2011 and 2012. In the long term though, studies also have found that lacking labor can result in fewer crops planted and therefore less available produce and vegetables in supermarkets, which can mean higher retail prices for consumers, and less over-all capital flowing into the economy from the agriculture sector. Many in the industry believe it could result in a major disruption for one of the country’s most vital industries. On a daily basis U.S. farmers are weighing the benefits of shifting from labor-demanding fruits and vegetables to grains, which can be planted and harvested with machines. Both moves could have lasting effects by permanently cutting jobs in agriculture and possibly pushing the country to rely more heavily on foreign-grown produce. Farmers say the biggest issue is that American workers have been unwilling to fill the open positions. Between 2002 and 2014, U.S.-born workers offset less than 3 percent of the decline in Mexican field and crop labor, the Partnership for a New American Economy study found. “You’ll always hear that argument, that it’s taking away from American jobs. And I can tell you that at any farm in Washington State, if 20 people came in here and they were Americans, they would have a job tonight by 4:35. But they won’t do it. 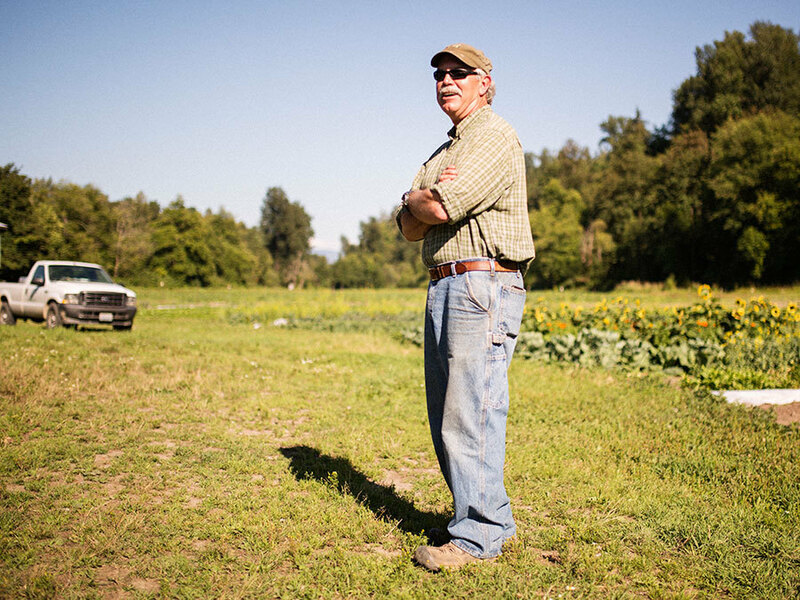 In bad times, nobody came here,” said Burr Mosby, a first generation farmer who owns a small family farm south of Seattle that grows vegetables such as squash, zucchini, rhubarb, leeks and beets. Mosby, 57, currently has 60 open spots at his farm. He said Americans don’t like farm work in part because of the schedule and time commitment. Pickers work seasonally when the crops need to be planted, which means they work through rain and hot temperatures. And when it’s picking season—from dawn to dusk. The pay might not be attractive either. The average hourly wage for a farm picker between 2009 and 2010 was $9.42, according to a U.S. Department of Labor report . However wages vary greatly depending on how long a worker has been with a farm, and many get paid by the pounds picked. Instead, he says his U.S. workers eventually left to take mining jobs or positions at a local casino—jobs that offer benefits and a year-round schedule. Most farmers have the opportunity to tap into an established seasonal worker visa called an H-2A if they can prove their labor shortages. Under H-2A, they must pay for getting the Mexican workers from the border to the farm and back, plus provide them with housing. Farmers also say that tight border security makes it difficult to get even approved H-2A workers into the U.S.
Sakuma Brothers tried using the H-2A in 2011 at the height of its labor shortage but the company quickly experienced an unforeseen backlash. Some U.S. workers who worked side by side with the immigrant laborers at Sakuma Brothers complained because they didn’t receive the free housing that the H-2A workers were given. They also began efforts to form a union and pushed for higher wages, according to the Familias Unidas por la Justicia union website. Sakuma Brothers responded by unveiling an opportunity for its U.S. workers to earn higher wages and built more housing for them, Weeden said. 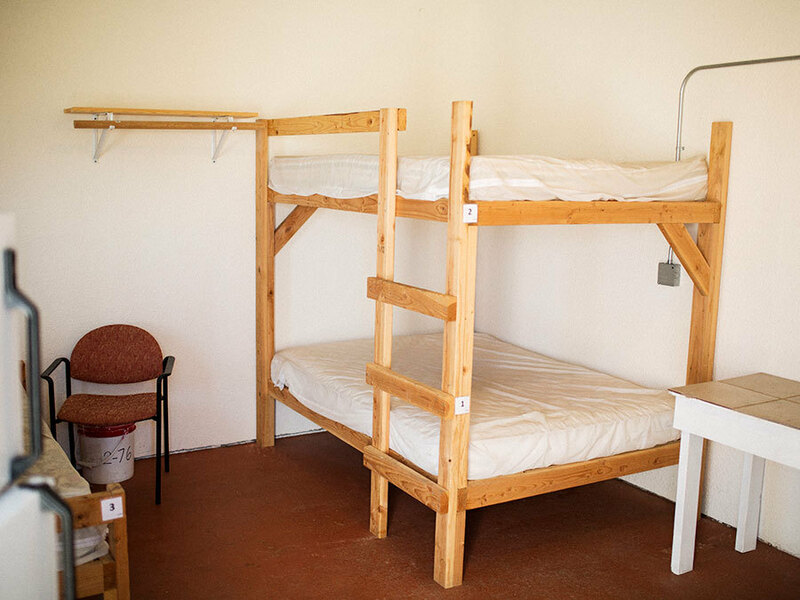 The company also stopped using the H-2A program entirely and now relies on the lure of free housing to recruit workers. Tech companies in the United States say success is the result of innovation and hiring the right employees—regardless of citizenship. For them immigration reform is a necessity and it starts with changing the current program that allows companies to hire high-skilled foreign workers under the H-1B visa program, says Todd Schulte, president of Fwd.us, a group started by Facebook founder Mark Zuckerberg to push for changes in immigration laws. The H-1B program currently allows 85,000 high-skilled workers into the U.S. on a lottery system every year. But compared to the growing tech industry that in 2015 added 200,000 jobs and now employs more than 6.7 million people, the number of workers who receive a visa is negligible, says Dave Ware, who frequently works with tech companies to bring in foreign workers with temporary H-1B visas. Fwd.us helped introduce a bill to Congress in 2012 that aimed to boost border security, help immigrants in the U.S. illegally get citizenship, and increase the number of H-1B visas available to foreign workers . It passed in the Senate but never made it to the House floor for a vote. Farmers are similarly trying to change the current H-2A program. They want a system that is more flexible with their growing seasons so they don’t have to pay workers to be there when there’s no work to be done. To fix that, many are calling for a transferable system, where workers are allowed to move freely from farm to farm, finding work when needed. Currently that isn’t a legal option. But both groups are experiencing stalemates and both blame politics. Ware is more blunt when he discusses what he thinks is responsible for the resistance to H-1B reform. “There is a strong undercurrent in Congress, a general anti-immigrant undercurrent that really knows no bounds, that just doesn’t want more immigrants period,” he said. In contrast, Hillary Clinton has proposed a plan to automatically grant Green Cards to foreign students who earn advanced degrees in science, technology, engineering or math in the U.S.
Trump isn’t alone in his views. Hal Salzman, a professor of public policy at Rutgers University, argues that claims of labor shortages are hard to back up with any real numbers—pointing to the fact that many of the open jobs at tech companies don’t require a computer science, mathematics or engineering background. Salzman and others say that the real reason tech companies want to hire immigrants is because they can pay them less than they would have to pay U.S. workers. Schulte of Fwd.us says companies take advantage of H-1B savings because it’s allowed under the law, which he says is archaic and allows for that loophole. Ware says he’s not shocked that tech companies, which typically lean Democrat, are struggling to pass immigration reform in a Republican controlled Congress, but does find it telling that farmers have not had more success. Neither farmers nor tech businesses have any illusions about change coming soon, yet both fear what will happen if one doesn’t ultimately come in time. On the farms, owners worry not only about their livelihood, but what Americans will do if they have to decrease their yields year after year. Miranda Green is the DecodeDC.com politics reporter, and is based in the Scripps News Washington Bureau. You can contact her at miranda.green@scripps.com , and you can follow her on Twitter @Mirandacgreen .